Lee McCann is a Vice President – Midwest Region for GovHR USA, and has over 36 years of active public safety experience. He works on executive search and general management consulting projects. Following his honorable discharge from the United States Army, Mr. McCann began his career in local law enforcement as a patrol officer in Evergreen Park, Illinois. He rose through the ranks of that agency, attaining the highest merit position, Lieutenant, in less than ten years. In 1982 he was named Chief of Police in Buffalo Grove, Illinois and served as Chief of Police in Buffalo Grove & Skokie, Illinois for the next 23 years. While serving in Buffalo Grove, he led the police department in becoming one of the first 50 law enforcement agencies in the nation to be accredited. Mr. McCann accepted numerous leadership roles with intergovernmental agencies during his tenure as Chief of Police. He helped found and manage the Lake County (Illinois) Major Crimes Task Force, served as Chairman of the Executive Committee of the Northwest Central Dispatch System and was President of the Northern Illinois Police Crime Laboratory. He was Secretary of the Executive Board of the Northwest Police Academy for ten years, and was also President of the Northern Illinois Police Alarm System – a mutual aid organization that provides manpower and other specialized services to member agencies during disaster and other emergency situations. During the five years he served as President of this organization, Mr. McCann oversaw a 100% growth in membership to over 80 law enforcement agencies serving a population of approximately 1,000,000 people. 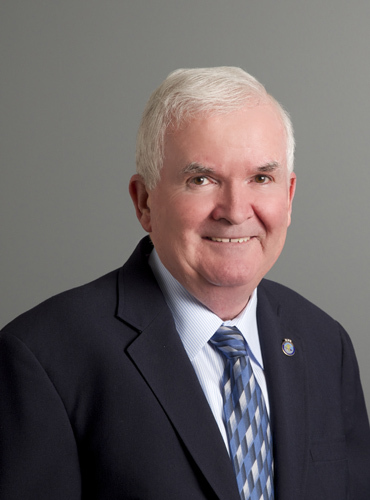 Mr. McCann’s consulting experience includes general police management studies, executive search & recruiting assignments, and service as on-site assessment team leader for the Commission on Accreditation for Law Enforcement Agencies since 1987. He also is a member of several professional organizations and has served on the governing boards of civic and charitable organizations such as OMNI Youth Services, United Way and as chairman of the Regional Action Planning Project, a local initiative to suppress street gang activity. Mr. McCann is a graduate of the F.B.I. National Academy, the Illinois Law Enforcement Executive Institute, and Chicago State University.